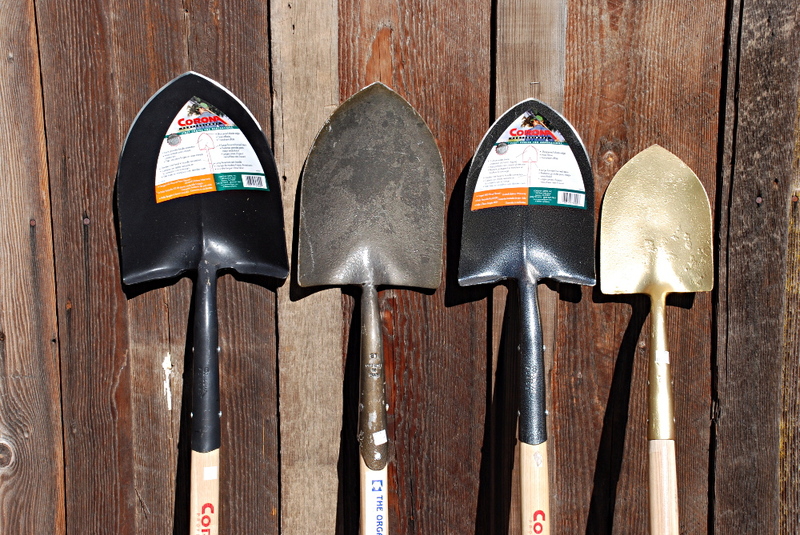 Shapes aside, the primary difference between a spade and a shovel is its intended use. The garden spade, with its long flat blade is used to prepare beds to an even depth by loosening and turning soil in place. 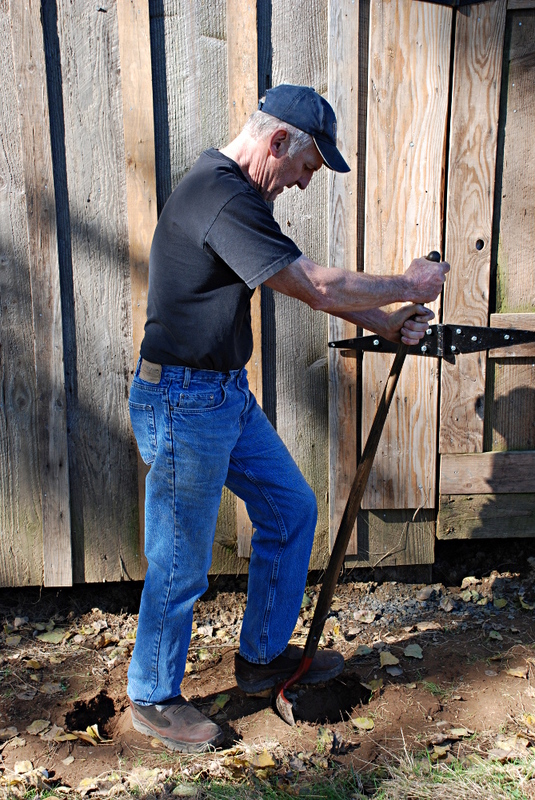 A round point shove, being wide and deeply dished, is properly used to loosen, lift and deposit dirt elsewhere—into a pile or barrow. It does best digging big holes. Yes, you can use a shovel for spading or a spade for shoveling, but you sacrifice efficiency. Not all round point shovels are the same. Knowing a little about their differences can help you select the one that is right for you. First, size. 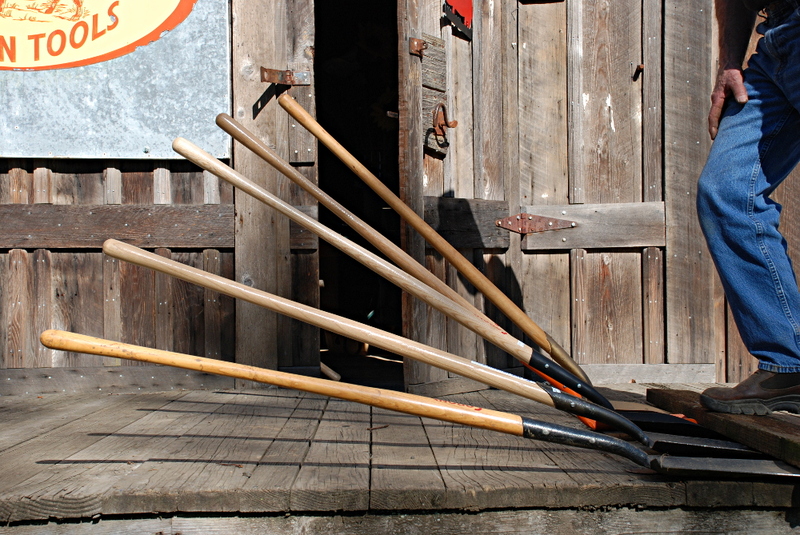 Once, round point shovels came in many sizes: 0, 00, 1, 2, 3, 4, and so on. Today only the four smallest – 0 through 2 – are made, of which the No. 2 (with a head of about 9”x12”) is most common. The only No. 4 I have ever seen is in the historical collection at Rancho Los Alamitos in Long Beach. Paul Bunyan must have worked there. The thing is huge! 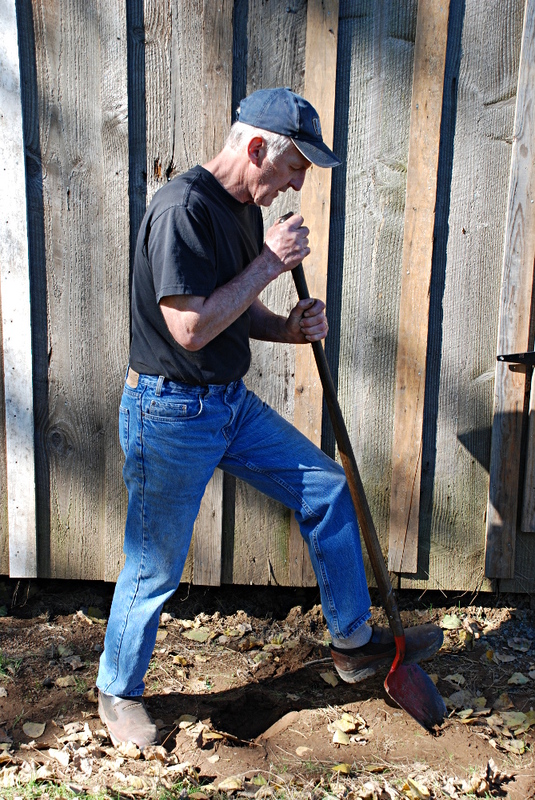 The standard handle-length on shovels is 48”. If you’re tall, try to get one with a 54” handle. The longer tool will provide more leverage and reduce back strain. Crank refers to the radius of the shovel’s neck as it curves up from the blade to envelop the handle. The crank varies the height of the handle. Two shovels can have the same lift and different cranks. The one with more crank will be more suitable if you have long arms, and vice versa. Finally, a word about quality. I recommend forged shovels. They can last a lifetime, will hold their sharpened edge, and the heads won’t bend, split or snap. 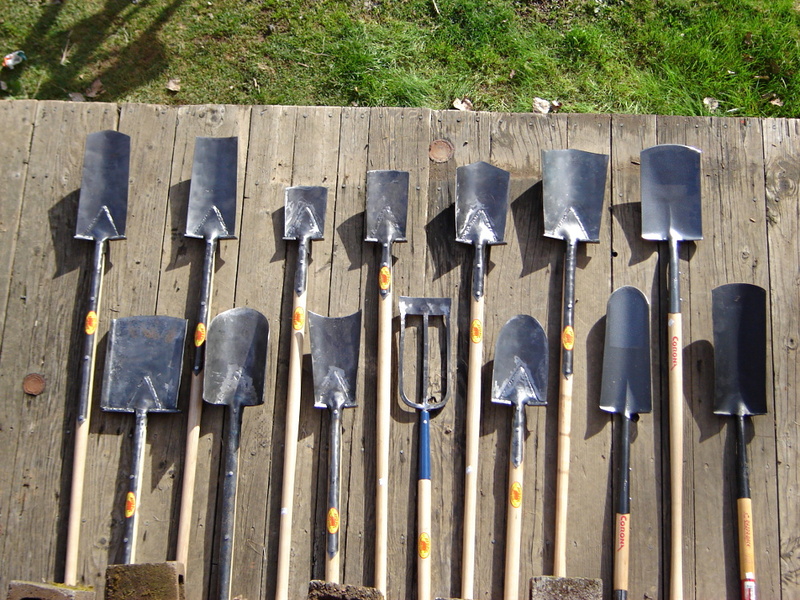 Hollow back shovels, the most common type, are so called because they are fashioned out of a single piece of thin sheet steel. At the neck, where the forged shovel is solid and strong, the hollow back is, well, hollow. And weak. And liable to bend or fracture. Keep your shovel sharp and free of rust. Keep the handle sanded and oiled. The tool will reward you by being the most efficient earthmover it can be.